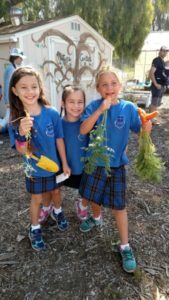 We became intrigued about becoming a Nature Explore Classroom as our preschool had become certified years before. 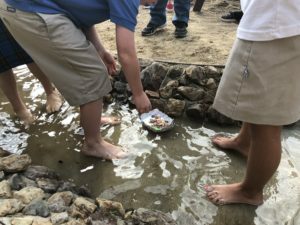 We loved all the enriching activities the children were doing there and wanted the children to continue that experience at the Transitional Kindergarten through 8th-grade school. 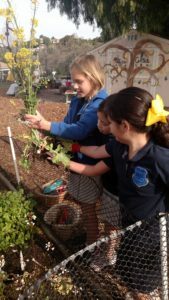 We had already implemented a teaching garden which was enjoyed regularly. In this teaching garden, each class grows tomatoes annually and sell the plants to the community. 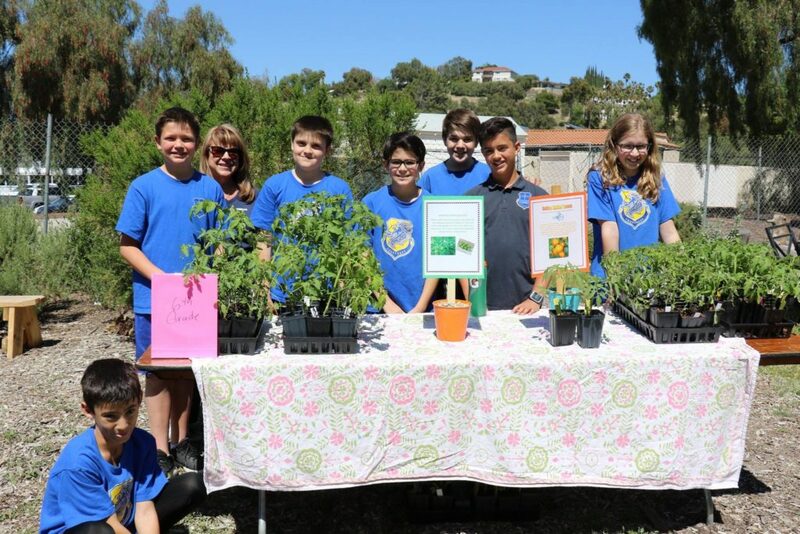 The money raised is used to continue the tomato plant growing program as well as providing supplies for the gardening program. The staff has noticed that having the opportunity to play in the new nature explore areas has led to more harmonious play. PALS (our parent group) is intentional about raising funds to support the outdoor areas. 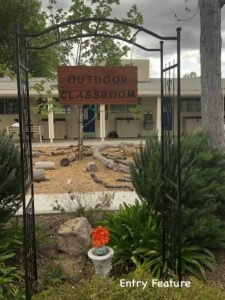 Each grade level spends dedicated time weekly learning in the outdoor areas. 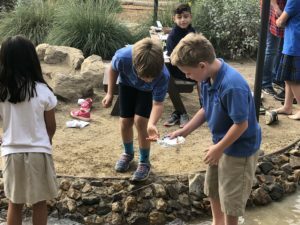 During this time students work in their class garden beds, conduct naturalist observations, engage in science discovery activities, complete STEM challenges, and make materials such as bricks to experience how life was lived in our state and nation’s history. 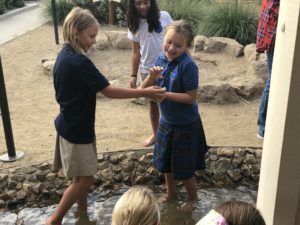 Our future plans include expanding our natural space to our middle school area with more native plants, a butterfly waystation, meandering paths and sitting areas.